Keeping your Twin Disc engine in great shape can be a challenging task. 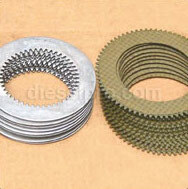 You may need to invest in the right tools if you do not have them available, and you will need to find quality Twin Disc replacement parts for some repair and maintenance projects. When you are shopping for Twin Disc MG5061 marine transmissions parts for your own engine or for an engine you are working on for someone else, you can rest easy knowing that Diesel Pro Power is your best online resource for all of your shopping needs. 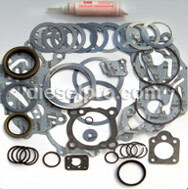 Diesel Pro Power is the largest online retailer that specializes in engine replacement parts and supplies. We carry an extensive selection of Detroit Diesel engine parts for many engine types, and we also offer helpful tips and advice that are tailored to the specific engine that you are working on. 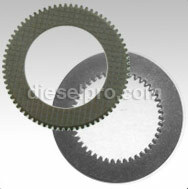 You can find Twin Disc MG5061 marine transmissions parts like oil filters, gauges, gaskets and more. You can easily select one or several items with ease, and these are items that are specifically made for use with your engine. 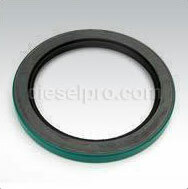 By shopping with Diesel Pro Power, you can expect 24-hour shipping to ensure that you receive your order quickly. We ship to customers around the world, so rest assured that you can get the parts you need quickly. When you are in the market to purchase Twin Disc MG5061 marine transmissions parts or other types of replacement parts for your engines, you can easily put our website to work for you. You do not have to leave your desk in order to place your order. When you put our website to use right now, you may be able to finalize your order quickly and rest easy knowing that your parts are on their way to your location.